Perfect for fans of Barbara Kingsolver and Karen Russell, Where the Crawdads Singis at once an exquisite ode to the natural world, a heartbreaking coming-of-age story, and a surprising tale of possible murder. Owens reminds us that we are forever shaped by the children we once were, and that we are all subject to the beautiful and violent secrets that nature keeps. 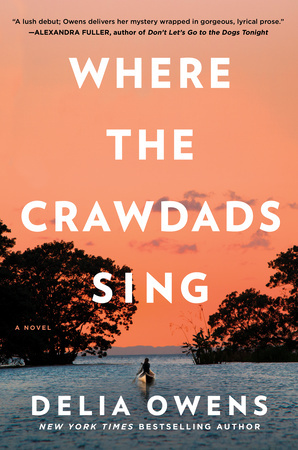 If you like the read, vote for Where the Crawdads Sing for the August LibraryReads list by June 20th.